This year our tree is downstairs because last year Sophie decided to chew on Paige’s presents. 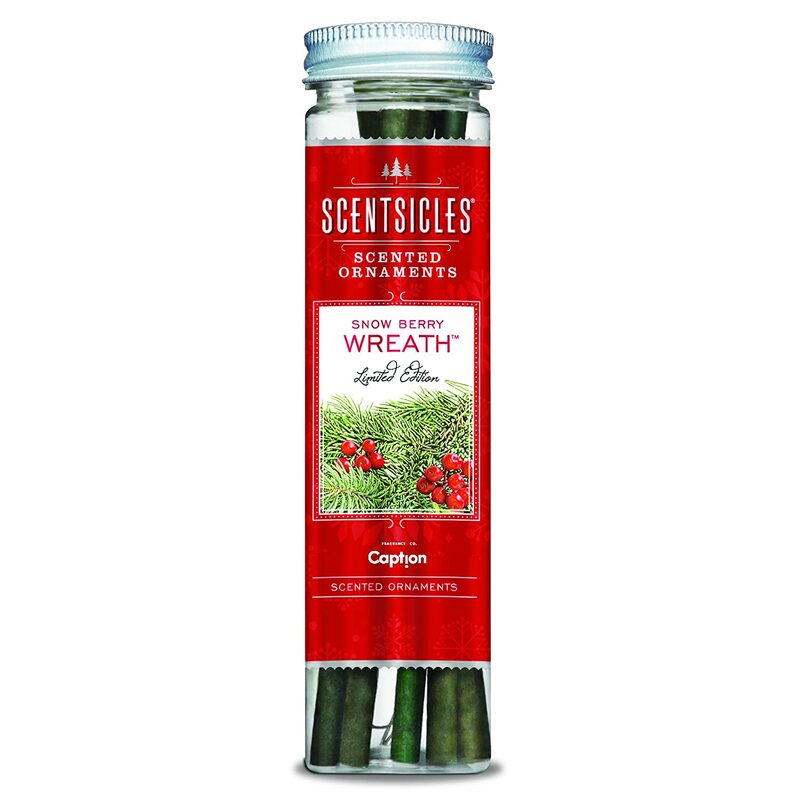 It’s fake, but I picked up these scent sticks this year; the verdict is still out. I keep telling Nolan that after we use all the wrapping paper we have, I want to have one Christmas where all my presents are matchy-matchy, like all those on my Pinterest feed. Then, I read nothing more festive than a pom pom from MFAMB and decided I wanted a beanie with a pom pom. In fact, I asked my Stitch Fix stylist to find a reasonably priced one for me. I tried this one on at Intermix when I was in NYC with my seester. But, last time I checked money doesn’t grow on trees, so $128 for a (probably) one-season beanie isn’t going to happen. 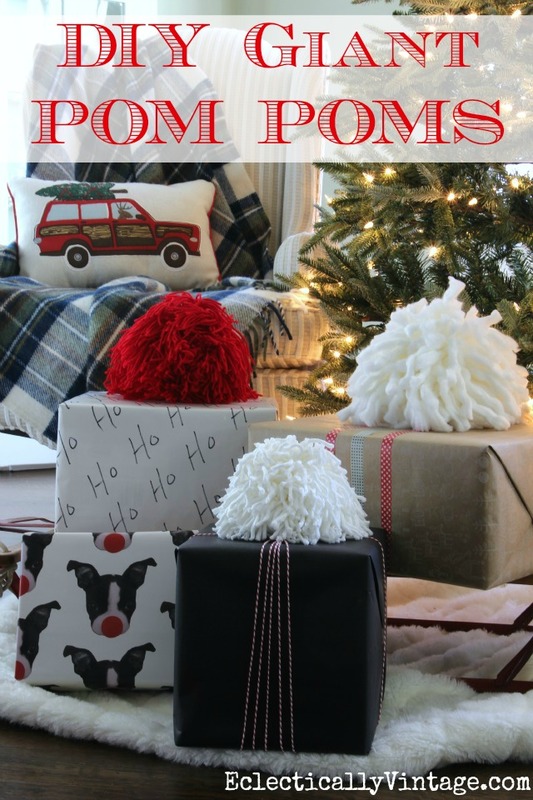 Then, I stumbled on this idea of using giant pom poms in gift wrapping from Eclectically Vintage. How cute!? I should stock up on yarn whenever Joann Fabrics has another yarn sale. Next year’s presents are going to be awesome!